Note that the part tool system is new. If you have a tool to add, please let us know. Each Part page has a new menu item: Part Tools. This provides a drop-down menu of tools that can be applied to this part. Some of the tools are provided by the registry while others are provided by other groups. You can apply to have your tool presented in this menu. If you think your tool should be featured here, please send an email to hq@igem.org. From the Gibthon site: "Gibthon is a suite of web-based tools to aid in the design and manufacture of synthetic parts and devices for biological systems. The 2010 Cambridge iGEM team found a need for an integrated toolkit to automate primer design for Gibson Assembly. 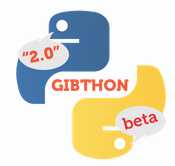 Gibthon is an open-source project, and the development team is keen to welcome new members with new ideas." Gibthon has a primer calculator, a ligation ratio calculator and a molarity calculator, among the available tools. LabGenius is a plasmid viewer that allows you to visualize part and backbone DNA in a way familiar to microbiologists. The 2012 UT-Tokyo-Software team developed a BioBrick search application. The software searches the Registry for BioBrick parts and displays the results in a similar manner to Google.